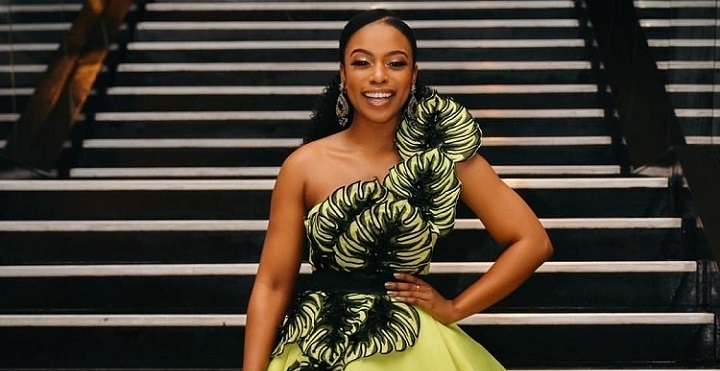 While the year is gradually pushing to the end, award shows are taking place across the globe and last night, South African celebrities in the entertainment industry stepped out for the 2018 Mzansi Magic Viewers’ Choice Awards. And who was leading the glamour is none other than the regular Nomzamo Mbatha and Bonang Matheba. 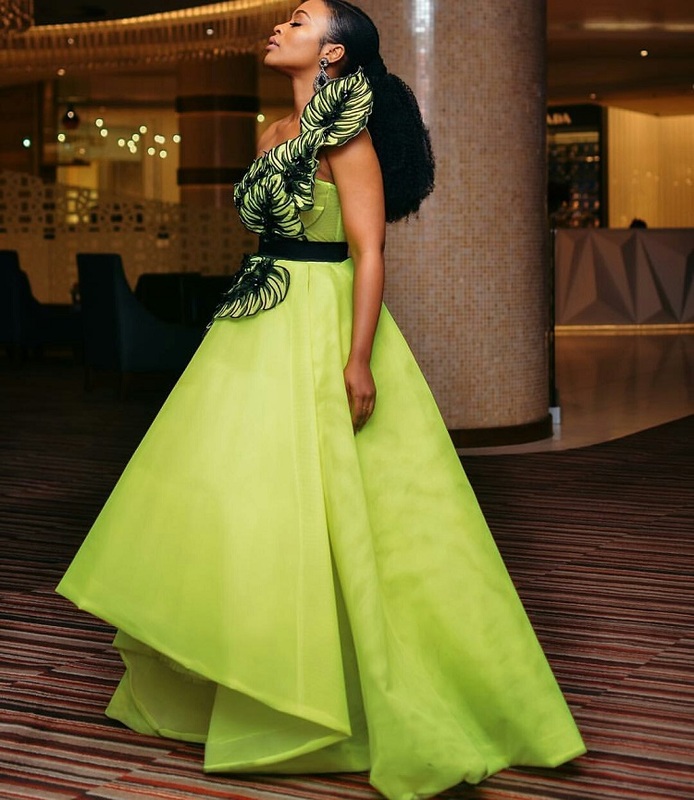 Gracing the event, Nomzamo rocked a jaw-dropping, princess-inspired gown, which was in lemon hue and finished with intricately floral motifs. Although the picture is unofficial, the actress’ gown deservedly stole the show, as she proudly gave fans the side view before hitting the red carpet. The lemon gown, which was a complete stunner, was designed by Gert-Johan Coetzee, and fit the actress perfectly. From the volume of her ballgown skirt to the floral bodice which was both sleeveless and glamorous, the Gert Johan design rightly made Mbatha the focal point of the evening. As for Bonang Matheba, the media personality knew she was going to be presented with the ‘Favourite Personality of the Year’ award — one of the reasons she made 4 outfit changes in her honor. The media girl wowed in the shiniest, bluish gown from Esé Azénabor’s ‘Objet D’ Art’ collection. Giving the people what they truly wanted, she finished the show in a clingy strapless little dress.